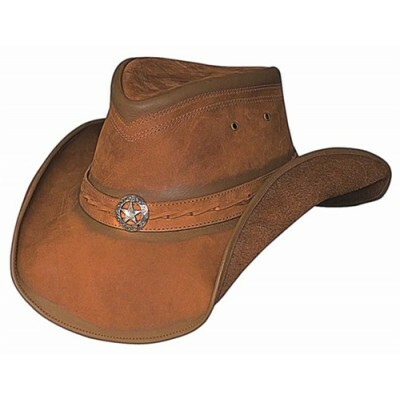 Inspired by the Outback hats of Australia, the Cooper Creek western hat is made of genuine leather. Crafted by Bullhide, this hat has a 3-3/8 inch brim and 4 inch crown. 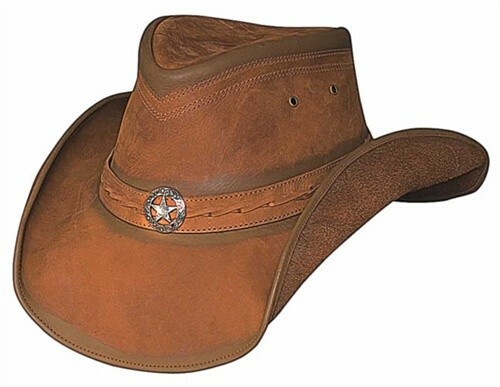 If you're a pure-blooded cowboy who wants a taste of down under flavor in your style this is the hat for you! This hat features a star center plate on the band, for those who also fancy themselves to be sheriff of their own lands, this hat has it all! Features Eyelets and Star Center Plate on Band.